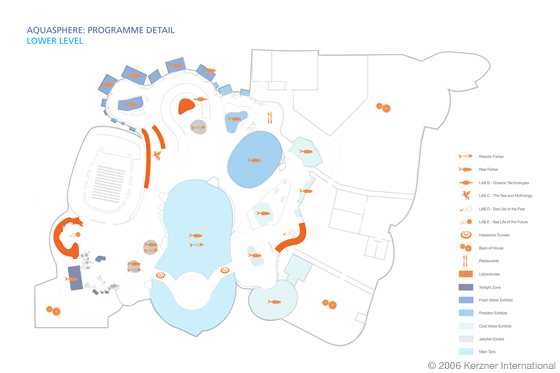 In 2006 hotel magnate Sol Kerzner (Atlantis Resorts) put together an unprecedented team to develop a bid to build an integrated resort on Singapore's Sentosa Island. The government of Singapore hoped to boost international tourism by creating a worldwide family destination on the island. 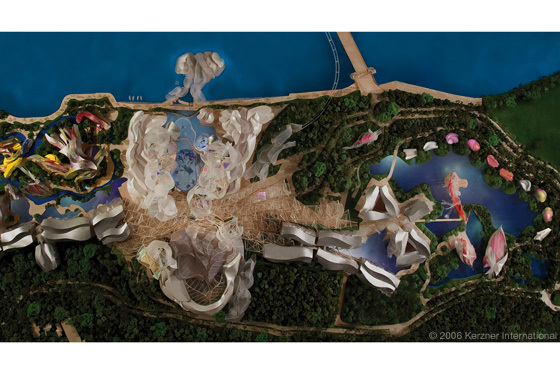 Kerzner and his Asian partner, CapitaLand, enlisted Frank Gehry to conceive and design a resort that would be truly remarkable and one-of-a-kind in the world. 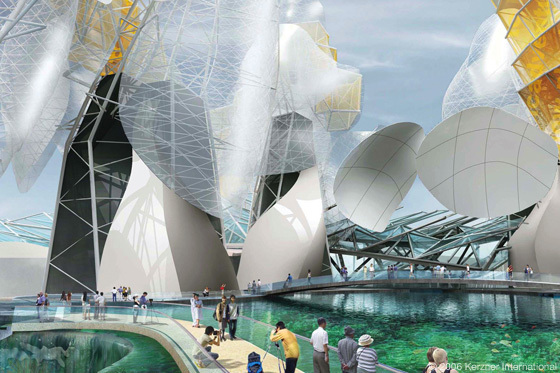 Inspired by the site's location on a small island, Gehry and Kerzner envisioned a place that would celebrate the magnificence of the sea. 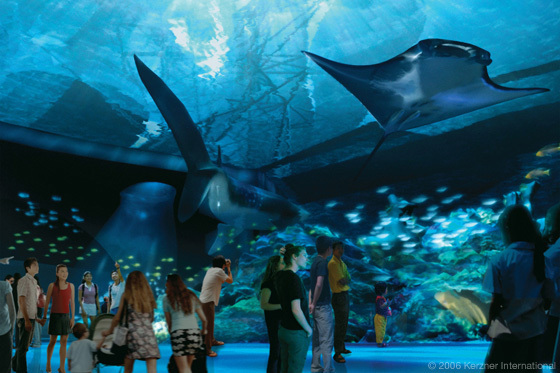 In addition to iconic architecture, the resort would feature the largest aquarium in the world. 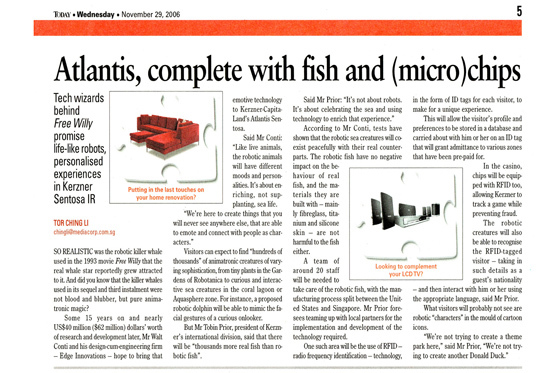 But unlike other aquariums that only exhibit present-day sea life, the aquarium at Atlantis Sentosa would allow guests to experience and interact with oceans from the past, present, and future through the use of technology and robotics. 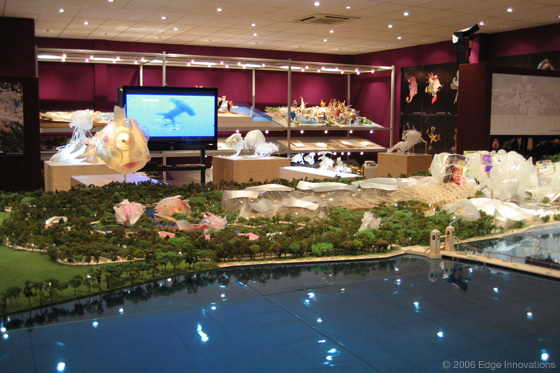 Based on his reputation as the world leader in aquatic animatronics, Walt Conti and his company, Edge Innovations, were brought in to develop and head up the cutting-edge technology integral to this one-of-a-kind aquarium. 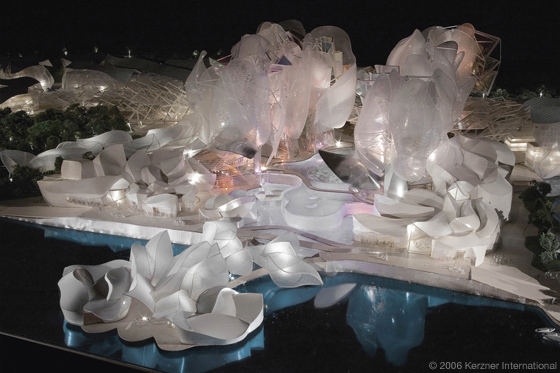 Over the course of a year, Walt and his team worked closely with Gehry, Kerzner, and branding guru Peter Arnell to conceptualize and design experiences that would transport guests to ocean worlds not otherwise accessible. Imagine swimming with full-size prehistoric marine reptiles, or being surrounded by sea life from the bottom of the ocean. 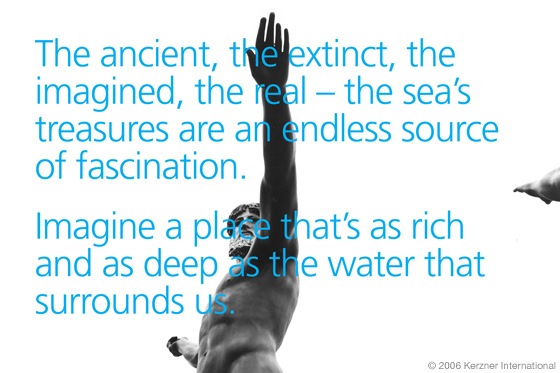 Present-day sea life would blend seamlessly with that of the past and imagined future. 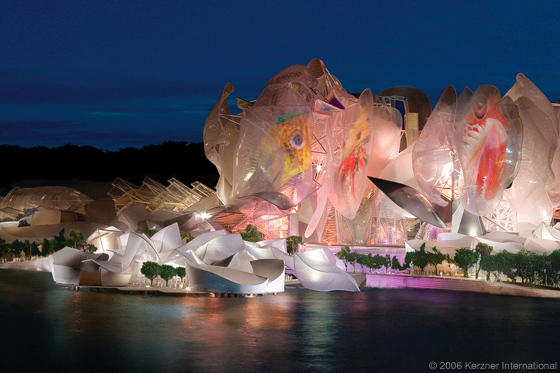 After two years of design, including countless iterations and models, Gehry and the team arrived at a truly remarkable design for the resort. 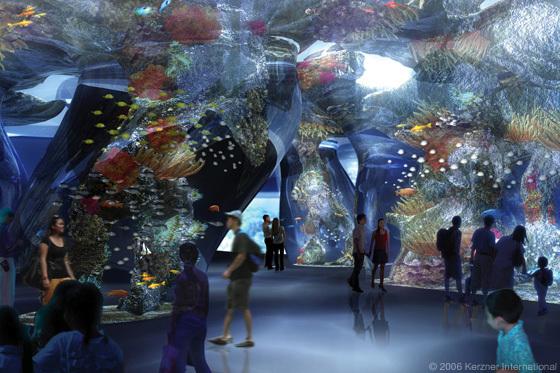 Framed by towering, translucent, sail-like structures, the resort's aquarium consisted of undulating, organic-shaped tanks teaming with sea life and robotic technology that immersed guests in the wonder of the oceans. Following completion of the Kerzner bid package, Walt joined Frank Gehry, Sol Kerzner, Peter Arnell, and CapitaLand CEO, Liew Mun Leong, in a series of final presentations to the government ministers in Singapore. The selection process received worldwide media attention. 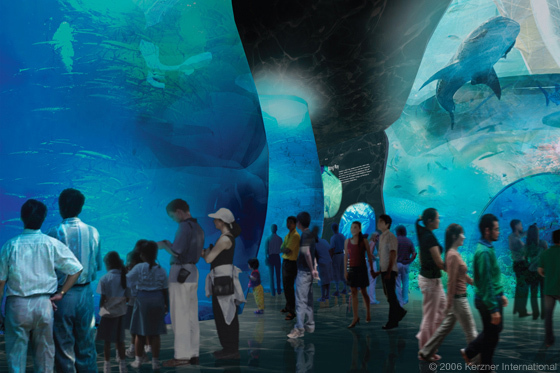 To widespread surprise, the design presented by the Atlantis Sentosa team was not selected as the winning bid. Instead the project was awarded to Genting International and Universal Studios. The Kerzner team is currently searching the world for an alternate site for this iconic project.